Performance Management Archives - Fast Mirror - 360-Degree Feedback. Recently I attended a session at a conference about feedback. I was looking forward to hearing material about feedback-related issues such as 360 assessment, the neuroscience associated with feedback, and examples of companies that have created a “feedback culture.” While these subjects were briefly mentioned, it didn’t take long for the audience Q&A to turn the discussion into a plea for help with performance management. There were questions about rating scales. Descriptions of how feedback had been separated from or integrated with performance management. Complaints about managers getting in the way of performance management transformation because they still can’t give quality feedback despite being trained to do so. I get it. These are valid struggles and I completely understand the frustration expressed by the HR community in dealing with them. And I don’t mean to imply that I was bothered by the focus of the discussion shifting to performance management. What does bother me is the immediate association of performance management with feedback. They are two different things. True, feedback is used to supplement performance management. But feedback is also an independent activity with applications that extend beyond performance management. For example, feedback can be a valuable supplement to professional development, training, and even onboarding of new employees. But we don’t hear about these types of application as much. If we continue to instinctively associate feedback with performance management, a pain point perceived by many as an outdated, administrative process in need of revolution, transformation, or disruption, we’ll continue to struggle to build the feedback culture we strive for. 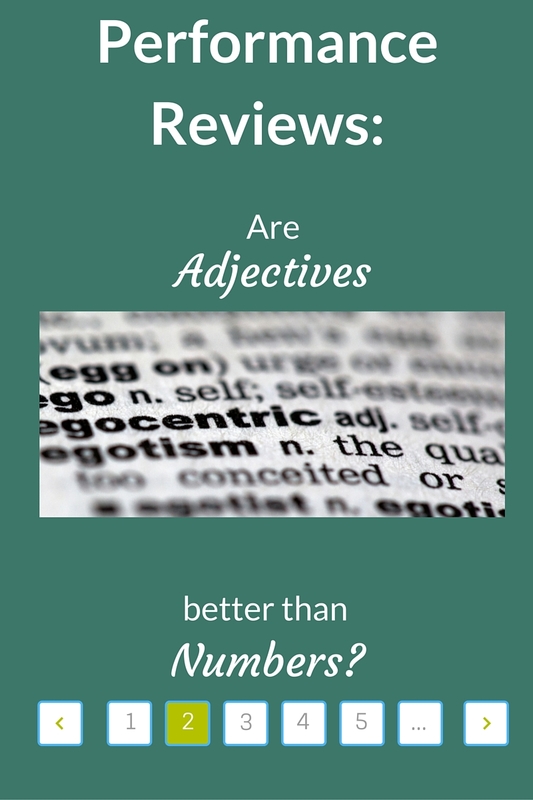 Heck even the question writers at Jeopardy define feedback as a “criticism or evaluation.” In contrast, we define it as a communication tool that helps individuals do better. Over the past several years, discontent with performance management grew so strong it’s now being “disrupted.” The practice of Performance Management is being deemed obsolete and replaced or rebranded with alternative solutions and descriptions because “once a year is not enough” for managers to discuss their employees’ performance with them. And when they do have that discussion they don’t know what to say. If you are a skilled HR professional that ever had involvement in the development of a “traditional” performance management program, I would bet that you included the same elements of feedback being touted today as “new.” I am sure you never intended for feedback to only occur once a year. You trained your leaders on the importance of balancing positive feedback with developmental feedback. And you likely set up feedback discussions to include planning for future career goals, not purely focused on the past. Sure, there were probably aspects of performance management that needed be updated, as should be expected to keep up with changing business conditions. That aside, despite massive amounts of training and expensive technology enhancements, the meaningful feedback component just hasn’t happened. Because while quality content is necessary to drive behavioral change, it is not sufficient on its own. Over the past 15 years, we’ve consulted clients in organizations of all sizes on the topic of feedback as well as performance management. The most consistent theme we’ve observed is that leaders are simply not comfortable having candid feedback conversations with their direct reports. Usually the discomfort has more to do with the leaders’ own insecurities rather than any performance issues with their employees. Unfortunately, they also lacked the self-awareness and accountability to do something about it, so they told us they were fine when in truth they’ve been stumbling through. This should not be a surprise, because employees have been asking for more and better feedback since long before anyone associated the need for feedback with millennials. Just like with performance management, transformations of feedback processes are starting to occur. 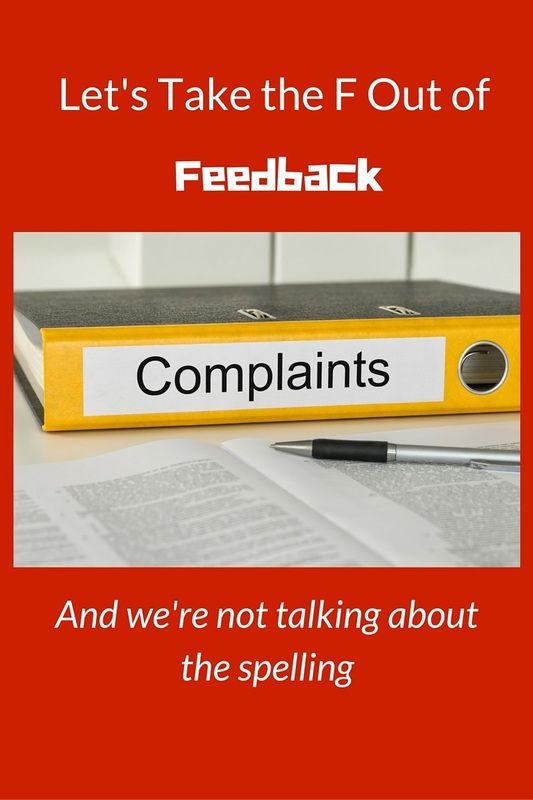 For example, recently GE rebranded its feedback process to reduce the negativity associated with the word. Instead “employees are invited to continue or consider a particular action.” Somehow that is not feedback. The train may have already left the station. You could soon be rebranding feedback just like you did performance management. Embrace the opportunity, a rebranding effort is a great chance to start fresh. Businesses do it all the time, some better than others. But, you may be wondering after reading this far whether you won’t simply be rearranging deck chairs on the Titanic. Good news, there are things you can do. In addition to reviewing the content and structure of your feedback practice, review your lessons learned regarding change management and implementation factors. Be careful when doing this though. There’s an art to balancing lessons learned from the past with managing a perception that you’re stuck in the past. While nobody wants to hear you say “we tried that before and it didn’t work”, you’ll get better reception when you frame it as “here’s what we learned we need to do based on our previous experience with this.” Here are some reflective questions focused on feedback to get you started. Why did leaders struggle to give feedback in the past? How will these challenges be addressed in the future? How will this be different from previous attempts to help them deliver feedback? What were the most effective aspects of previous feedback training provided to leaders? Least effective? What was missing from previous training that needs to be included for future success? How will leaders be held accountable for the quality and quantity of feedback they provide to employees? How is this different from the past? How will employees be held accountable for owning their feedback? How will accountability be balanced with motivation? How does senior leadership visibly demonstrate the feedback behaviors being sought? How will the broader employee population know that they are doing so? How will you know your feedback transformation is working this time? What do you hope to achieve? This list of questions could really grow. What aspects would you consider? What are your lessons learned regarding feedback and how have you applied them to be more successful? Share with us in the comments.